The Chosen Project grant helps families cover costs associated with the adoption process. Qualified applicants could be awarded up to $3,000 for international or private domestic adoptions, or up to $500 for adoption through DSS. This year the adoption grant is awarded two times annually. The next deadline to apply is January 1st, 2019. 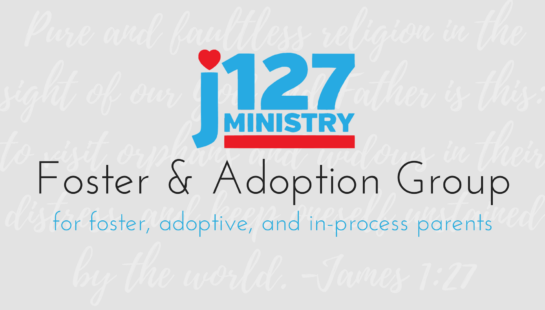 This monthly stipend offered to Journey partner families who are currently fostering children. This stipend is intended to provide funds for childcare, to allow foster parents a monthly date night/time to reconnect as a couple, or to give much needed respite time for single foster parents. Stipend Amount: $50 per family toward costs of respite childcare. Application Details: Foster parent partners are eligible to submit a new application on a monthly basis. Deadline: Please submit a new application by the 15th of each month to receive a stipend for the following month.